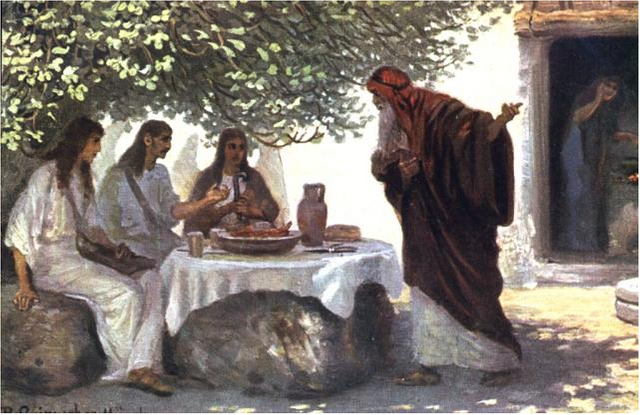 In Genesis 18 Abraham was sitting in front of his tent during the heat of the day. All of a sudden he looked up and saw three men standing in front of him. What Abraham did next catalyzed the destiny for himself and Sarah: He stood up and he ran to meet them. The arrival of these men wasn't convenient and it wasn't expected. At first, he didn't even realize that it was the Lord! AbrahamINTERRUPTED what he was doing in order to host the men. His being willing toINTERRUPT his plans resulted in the fulfillment of God's promise for the son that they had been waiting on for more than 20 years (Genesis 18:10)! Those who are prepared to INTERRUPT and adjust their own plans and schedules as God intervenes will see new doors for personal breakthrough and Kingdom advancement open.